The last week has been a pretty busy gaming week, with my Xbox One being back to working order. Between catching up on Destiny, playing Fallout 4 finally and hopping back into Halo 5: Guardians with my college buddies, it’s been a lot of different style games. Now that I’ve gotten a good chunk of play time under my belt with Halo, I thought I’d talk a little about how I see the game shaping up over time. I talked way back at launch about the new Warzone mode, which features 24 players on the biggest maps in the game. Since I’ve gotten my Xbox back, I’ve been able to play a good amount of the other new game mode – Breakout. Breakout is a new competitive mode, based heavily on the paintball game of speedball. You have one life per round, and it’s first to five rounds gets the win. Weapons are a little different than normal Arena play, with you spawning with a SMG and Pistol. With no shields on the characters, finding the precision weapons on the maps becomes a pretty important part of playing. More than normal modes, I think communication is much more imperative in Breakout. You don’t have a particularly large margin of error – a good player can drop you in just a few headshots from the pistol. You need to make your initial pushes smart, and as the game progresses, evolve your tactics depending on the situation. It’s a lot like SWAT, just with a little more health, and the obvious different game type. Map-wise, the selection of Breakout maps are all pretty similar. They’re all Forge maps that take place in a virtual reality arena. The pieces are modular, so they all look just about the same, it’s just the layout that changes. That said, they do take a little more to learn because of the nature of the game mode. You don’t have the luxury to learn the map as you play, because one wrong move could get you killed. To me, Breakout is the mode that requires the most mental focus – even over SWAT. You have to be thinking about your placement in relation with your team, as well as trying to predict the enemies tactics. Playing a team that does the same thing every round turns the game into an execution game, while playing one that changes based on previous rounds keeps each round as tense as possible. It’s also the mode that almost requires you to have a full team of four to really succeed. Solo-queue play is a great way to get frustrated fast, since you have to slow down on the start of a round to see what the rest of your team is doing. 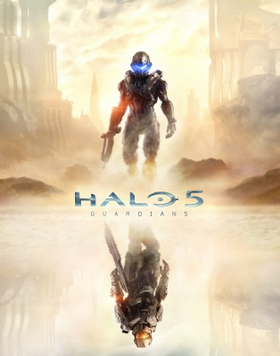 In general, I think Halo 5 is the best game in the series since Reach on the multiplayer front. Warzone is a blast, and the more competitive modes actually feel really well matched. Sure you’ll still run into an Onyx ranked player while you’re a Platinum, but it’s a lot less frequent than previous games. What I think 343 did really well this time around was make all of the weapons feel right. The Battle Rifle hasn’t felt as good as it does now in ages. The other precision weapons feel accurate, while having the right range and rate of fire. My only real concerns online right now are spawn issues – which are typical this early on in a game’s life; and the vehicles can be a little wonky, albeit not as game swinging as they used to be. If you were turned off of Halo in the last couple years, this is absolutely the game that could bring you back in. 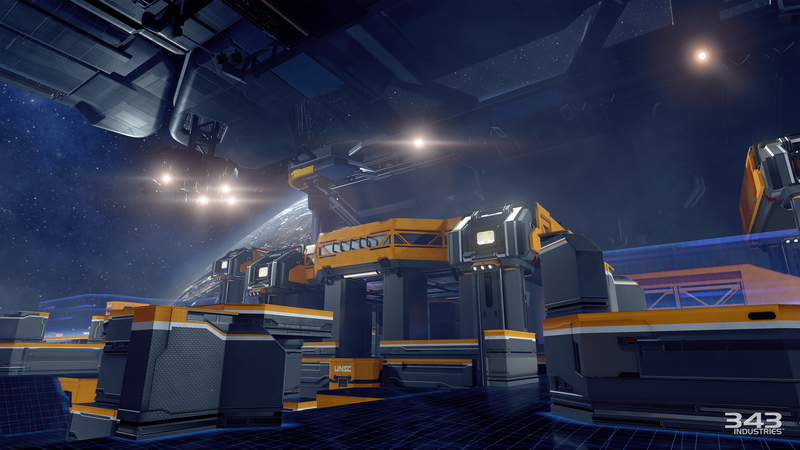 At the end of last week, Halo 5: Guardians unveiled its new game mode – Breakout. Based around paintball’s speedball style game, Breakout is a round based, single life slayer variant. In addition to boasting a pretty badass entrance animation too, Breakout challenges the player to look at how they approach Halo’s typical slayer games and adjust thanks to a few noticeable changes. The first being the round-based, no respawn format – since the games are back to 4V4, dropping down a player is a big deal and can swing a round easily. The other major change is in the player health – which is reduced for Breakout. It’s hard to tell exactly how much, but it’s noticeable for sure. Normally, the battle rifle can kill with four bursts, provided the fourth hits the head. In Breakout, it turns into a three-shot kill. This helps with the fact that the game is based more around small conflicts, with only two weapons on either side – one battle rifle, and one assault rifle – with grenades in the middle of the maps. Because of the small maps, using the pistol is a major key for any engagement outside of close range. The default weapons that players spawn with are the SMG and pistol – both really great for most of the engagements, and because of the limited weapons on the map, you’ll need to get used to how they behave quickly. They aren’t weapons that might see a lot of use in normal play – with the exception being the pistol, since it can still score headshots, so it has value regardless of mode. With the reduced health in Breakout though, both weapons become incredibly useful for most, if not all, combat situations you’ll find yourself in. And when we look at the two maps in the beta, I think you see exactly where the inspiration for the mode came from. In the series of ViDocs that 343 has been releasing – The Sprint – they talk openly about it being inspired from paintball. While it’s not quite a direct translation – thanks to not being based around SWAT – the focus still shines with the map design. Small sections of cover dot the landscape on both maps – along with strong hallways that focus fire and movement. There’s a good mix of verticality too, with a few high points that help your BR player really make a major swing in a round. Finally, the placement of the grenades – pretty much smack in the middle of the maps – helps show the worth of the quick burst of power that the explosives provide. Spawning only one also makes pushing for those in the middle an actual worthwhile effort. I don’t think I’ve ever really thought of grenades as a power weapon, but within the Breakout formula, they really can be. They help flush out the BR player from his nest, and they can also buy you a cheap kill early, or help give you a breather when being chased. Thanks to the lower health, one grenade is all you need to grab a kill, so controlling them early is beneficial. Finally, I want to hit on the one point that I was most worried about with Breakout. Ever since Call of Duty: Modern Warfare I’ve never been a fan of no respawn multiplayer modes – it’s part of why the Gears of War series never really appealed to me. With Search and Destroy, I found that the vast majority of players were forced into a decidedly passive play style. Whether that manifests as camping, or just playing incredibly slow and safe, it amounted to games that just weren’t fun for me. The barrier for entry was also too high – one mistake costs you a whole round of sitting out, and could cost your team the round. I was worried that the same mentality would pervade in Breakout. Thankfully, at least at this stage, I haven’t really seen anything to suggest that. Players are pushing out to the middle and controlling the map more than I tended to see in Search. I think that’s partially due to the lack of an objective – within Search, the defenders have the two points to hold and control. In Breakout, the control aspect comes from the map flow – hanging back lets the enemy get into points to force fights that are beneficial for them. Also the fact that players have a little bit of wiggle room for health, and the margin of error gets wide enough to play a little aggressive. All things considered, I think that 343 may actually have a new gamemode in Halo that’s still true to the formula and works top to bottom. We’ll just have to see in the full release how well it holds up.